Receive an airport transfer based on your arrival time to the hotel. Rest of the day at leisure. Dinner and overnight in Dubrovnik. After breakfast embark on a sightseeing tour of Dubrovnik, a city of the Dalmatian Coast included in UNESCO’s List of World Cultural Heritage. We will visit the Franciscan Monastery, the Old Pharmacy, the Rector’s Palace and the Cathedral. After lunch break we depart to Split driving along the Adriatic Coast and the Neretva River Delta. Dinner and overnight in Split. Breakfast, then sightseeing tour of Split to visit the Diocletian’s Palace a World Heritage complex with the Peristyle, the Jupiter’s Temple and the Cathedral. 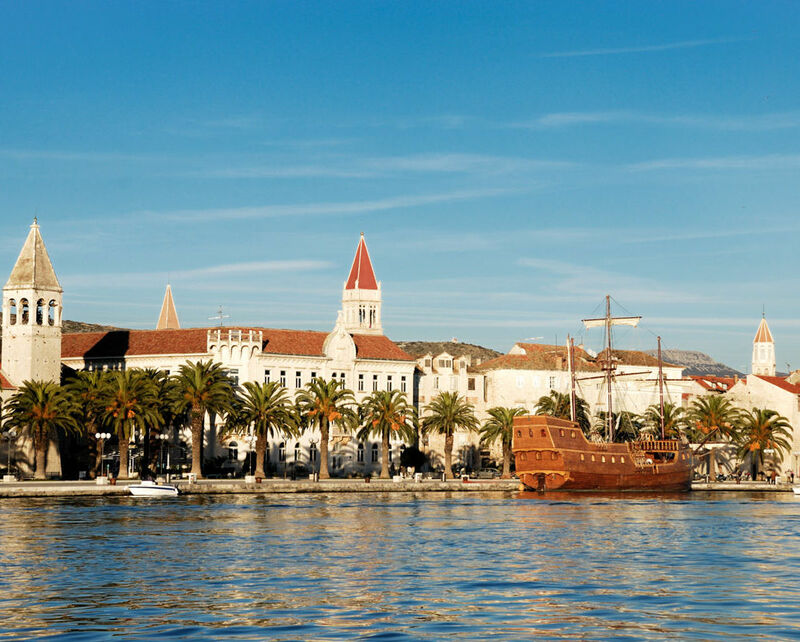 Departure for Trogir, a picturesque medieval town dating back to Greek times to the third century BC. We will visit the Cathedral of St. Lawrence and have free time. Continuation to Zadar for dinner and overnight. Morning sightseeing tour of Zadar, an other beautiful Dalmatian town dating back to Antiquity. It is mostly famous for its Roman and Venetian architecture including the Roman Forum and St. Donatus Church, a magnificent monument of Romanesque architecture. Afternoon departure for Zagreb, the capital of Croatia. Dinner and overnight in Zagreb. Morning city tour of Zagreb, including the fortified Upper Town, city’s historical center, St Mark’s Church with its multicolored roof, the Cathedral, the Croatian National Theatre and the University. Afternoon departure for Plitvice Lakes where we have dinner and spend the night. This morning we embark on a tour of scenic Plitvice Lakes National Park which is also listed as a World Heritage Site. The sixteen lakes of the park, each at a different elevation are connected in a series of cascading waterfalls. Surrounded by dense wood, Plitvice Lakes are a natural phenomenon of a rare and unique beauty. Dinner and overnight in Plitvice. After breakfast, the tour ends with transfer to Dubrovnik. Entrance fees to the Plitvice Lakes National Park, Cathedral of St Lawrence in Trogir, Diocletian`s Palace and Cathedral in Split; Franciscan Monastery and Rector’s Palace in Dubrovnik, St. Donatus in Zadar.